This project uses proactive sustainability assessment to evaluate the risk for PV to become a major source of electronic waste. The objective of this project is to quantify the amount and toxicity of PV waste as a result of increasing solar installation and diversity of solar technologies. It combines experimental and modeling work to evaluate opportunities for material recovery and recycling to reduce the amount of hazardous waste to be generated. By considering the end-of-life of the product at the design phase, it might be possible to design products, which will be easier to recycle, therefore reducing their impact. The objective of this project is to investigate alternative methods for wastewater treatment using a combination of process modeling, experimental data and life cycle assessment. Integration of algae biomass and nanomaterials are studied. Current rapid population growth in the region combined to new renewable energy portfolio policies could create an opportunity for PV to provide some of the additional required energy. 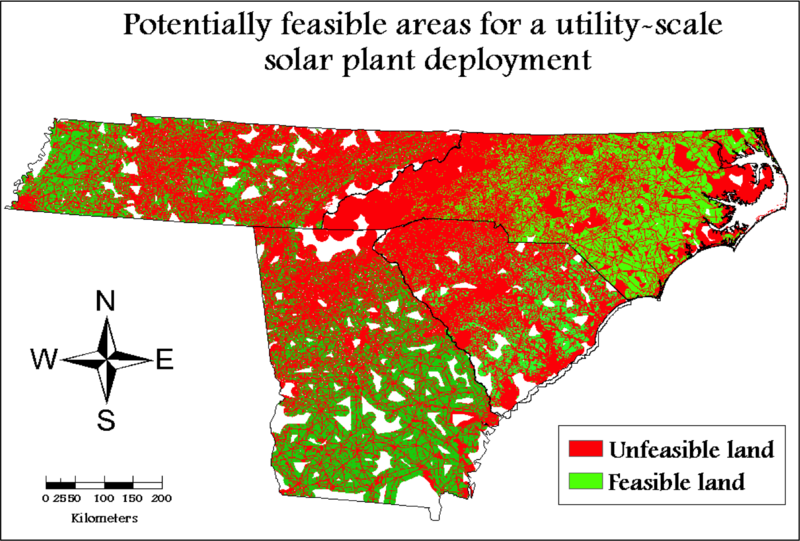 The potential for PV installation and selection of case-study sites is performed using a multi-criteria approach combining specific GIS data on the solar insolation, topographic limitations, environmental and land-use constraints specific for the selected region. Using a life-cycle approach, including system manufacturing, land preparation (deforestation and flattening), construction and operation, the potential for air pollutant reduction and carbon dioxide from increasing PV energy production as well as other relevant environmental impact is studied for various types of PV installations. Exploring environmental-economic feedback loops in coastal tourism development in a small island context with a simple simulation tool. In spite of the importance of coastal tourism for the economies of many developing countries, tourism infrastructure has often been developed without adequate consideration of long-term impacts on the environment, resulting in adverse impacts on other sectors of the economy and eventually causing the decline of the very resource on which tourism is based. The sustainable coastal tourism development training tool is an educational tool based on a generic model for integrated planning of coastal tourism infrastructure. The tool aims to address gaps in awareness and capacity for integrated decision-making and planning in tourism infrastructure development in a developing country context, and is especially relevant to small islands.